The Schoenbaum Center and Charleston Child Care and Learning Center, are thankful to Ms. Michelle Jez of Arnett, Carbis, Toothman for the generous donation of quilts. These colorful, warm, and beautiful quilts were handmade by Michelle’s mother and donated to our child care center. 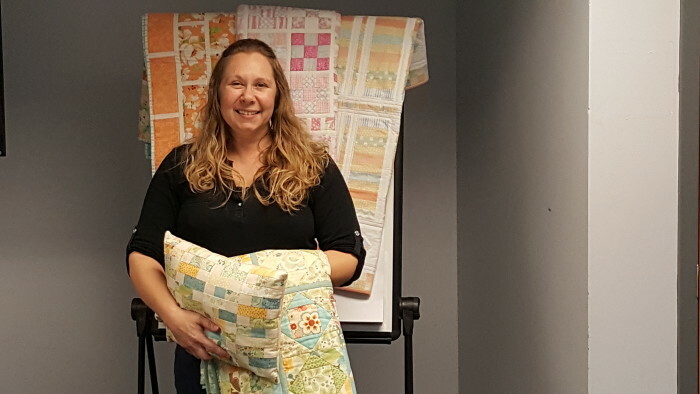 It was such a pleasure getting to meet Michelle and hearing the family history of sewing and all the amazing items that have tackled, such as pot holders, kitchen towels, quilts, pillow, and even wedding dresses! Thanks again, for helping the children stay cozy!